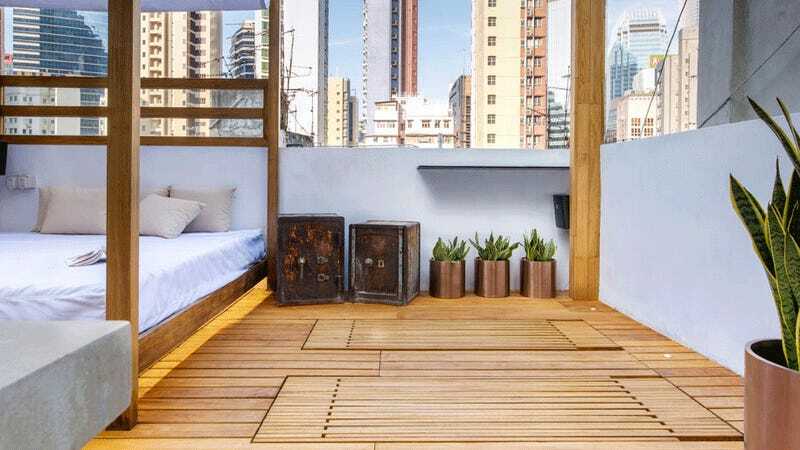 To help maximize the living space in a 400-square-foot apartment in Honk Kong, the designers at Liquid Interiors came up with a clever way to make its tiny rooftop deck feel far more spacious: a pair of lounge chairs that disappear right into the wooden plank flooring. The chairs were built using alternating wooden slats that merge in to a single flat piece once collapsed. They’re not completely invisible when merged with the rest of the wooden deck, but they provide more space for guests to wander around during a party. Imagine if all the furniture in your apartment just magically popped out of the floor when needed—moving would be a breeze.